The National Basketball Association, or NBA as we normally know it, it is one of the most viewed sport leagues in the world and the main event of professional basketball worldwide. The NBA seasons spans from October to June, in the meantime, 30 teams play each other to be crowned as the Champions. Competitive teams are made through drafts and trades. A good trade can become the key of a champion team or a dynasty. Here it is our list of the 10 greatest trades in NBA history. 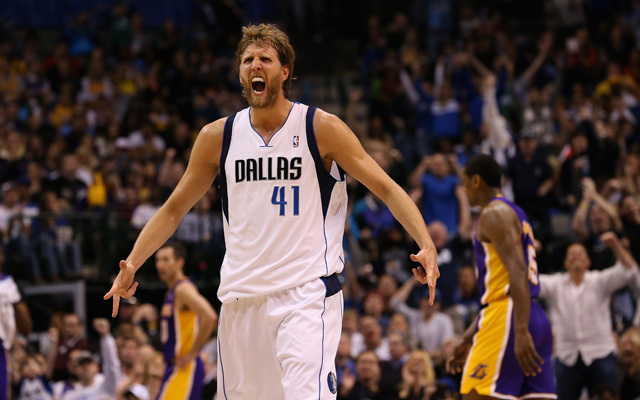 Arguably the best foreign player in NBA history, German power forward Nowitzki has played his entire 17-season career with the Dallas Mavericks. As a member of the Mavs, he has played 13 All Star Games; he won the MVP award in 2007 and the NBA Finals MVP award in 2011. To this point, he has scored 28,119 points with 3,282 assists and 10,051 rebounds and he is undoubtedly the franchise player of his team. That is why we rank him 10th in our list of the 10 Greatest Trades in NBA History. Nowitzki was selected by the Bucks in the 1998 NBA Draft (9th pick overall). The Mavericks acquired Nowitzki and Pat Garrity (19th pick) in exchange for Robert Taylor (6th pick), and later traded Garrity to the Suns for Steve Nash. In the meantime, Taylor’s NBA career lasted only 6 years. We know the rest. 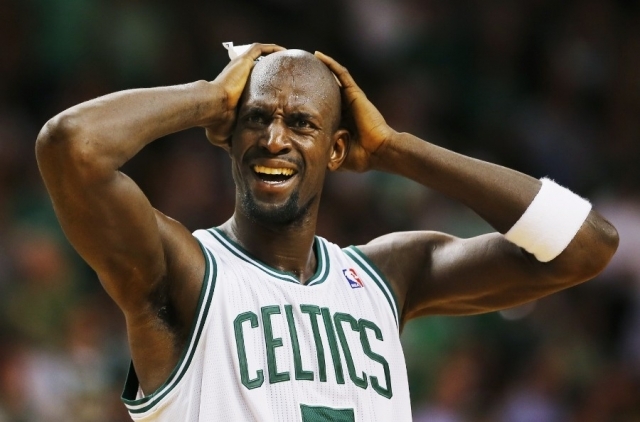 After 12 years of being the face of the Minnesota Timberwolves, Garnett was sent to the Boston Celtics on July 31, 2007 in exchange for Al Jefferson, Ryan Gomes, Sebastian Telfair, Gerald Green, Theo Ratliff, cash and two draft picks. The deal constitutes the largest number of players traded for a single player in the NBA history. He made the 9th spot in our list of the 10 Greatest Trades in NBA History for what it achieved later with one of the league’s most iconic franchises. Gernett played with Boston from 2007 to 2013. With them, he played 5 All Star Games, he won the 2008 NBA Defensive Player of the Year, and he scored 6,233 points with 1,078 assists and 3,301 rebounds and most importantly, he was a main piece in the team that won the NBA pennant in 2008, alongside Paul Pierce and Ray Allen, the “Big Three”. After a brief stint with New Jersey, since this season he’s back in Minnesota. Shaq is undoubtedly, one of the best centers in basketball history. 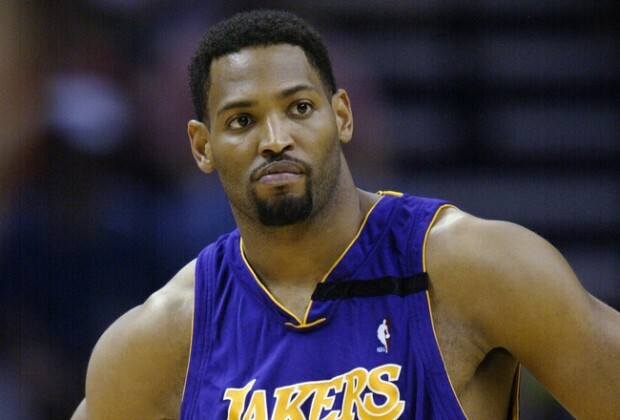 After being part of the dynasty of Lakers in the early 2000’s, he was traded to the Miami Heat on July 14, 2004 in exchange for Lamar Odom, Caron Butler, Brian Grant and one draft pick. 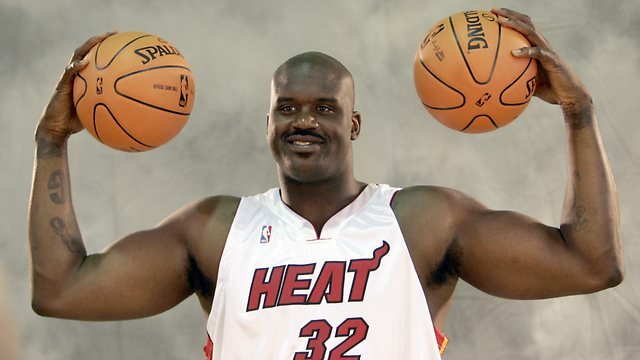 At his arrive at Miami, Shaq promised he would bring a championship to the team. His promise came true in 2006 when the Miami Heat won their first championship trophy, although Shaq was not the best player (Dwyane Wade was). O’Neil played with Miami until 2008 and he scored 4,010 points with 437 assists and 1,856 rebounds and played three All Star Games. At the moment of his trade to Miami, he had won three NBA Finals MVP awards in a row and was the main piece of the Lakers that dominated the league in the previous years, and later he won one more championship with his new team, ranking 8th in our list of the 10 Greatest Trades in NBA history. He’s back to Cleveland, so we think the city has forgiven him since the decision. What most people think (or think to remember) is that James arrived to Miami as a free agency sign but it was actually a sign-and-trade deal between the Cavs and the Heat in exchange for future picks. After failing to win a Championship with the Cavaliers, James helped the Heat to win two NBA Championship as part of one the greatest trios in NBA history, composed of James, Chris Bosch and Dwayne Wade and that is why we picked it as 7th in our list of the 10 Greatest Trades in NBA history. With Miami, James won also two NBA Finals MVP awards, played in three All Star Games and led the league in field goals with 758 in 2010-2011 and 765 in 2012-13 season, in two-pointers with 567 in 2011-12 and 662 in 2012-13. In four years with Miami he scored 7919 points with 1,980 assists and 2,225 rebounds. 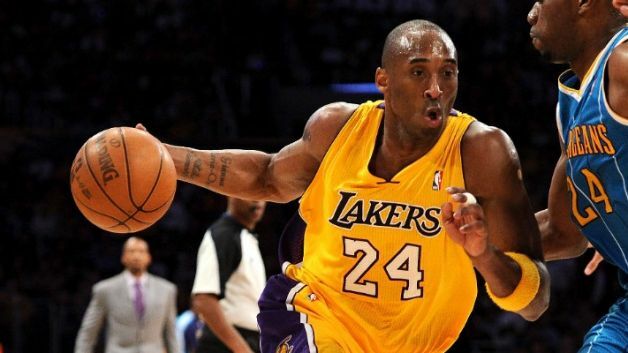 Kobe Bryant is probably the best player of his generation; he is undoubtedly one of the most popular and admired players of recent years and a winner: 5 NBA Championships. He has played 19 seasons in NBA, all of them with Los Angeles Lakers. In that span he has played 17 All Star Games, one MVP award, two NBA Finals MVP awards, led the league in games played three times, in field goals three times, in two-pointers three times, two times in free throws and four times in points. He has scored 32,482 points (3rd all-time), 8,146 free throws (3rd all time) and 11,321 field goals (7th all-time). An icon of the sport. What most people do not know is that Kobe arrived to Los Angeles through a trade. He was selected by the Charlotte Hornets in the 1996 draft as a 13th overall pick and later was traded to the Lakers, as agreed before the draft took place. Los Angeles didn’t tell the Hornets whom to select until 5 minutes before the draft. For what it represented later for the Lakers, he ranks 6th in our list of the 10 Greatest Trades in NBA history. The Bulls of the 90’s is, without any doubt, the most remembered team in the NBA history for their success, and much of this is due to Michael Jordan, but he did not win those Championships alone, he had a team and that team began with Scottie Pippen. In the 1987 NBA Draft, Pippen was selected by the Seattle Supersonics as the 5th overall pick and was sent later to the Bulls for Olden Polynice. 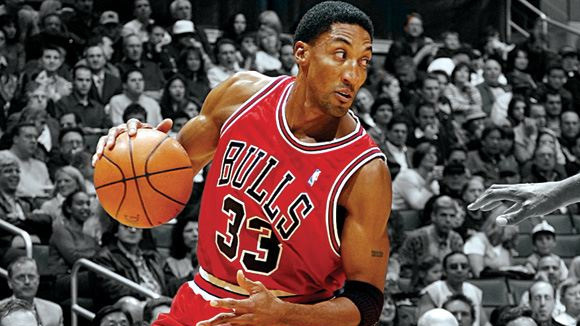 Pippen later became one of the best defensive players of the league (8 times in a row selected for the NBA Defensive Team and the 1995 led in steals) and also a versatile scorer. He won six NBA Championships with the Bulls and played in 7 All Star Games. He ranks 5th in our list of the 10 Greatest Trades in NBA history since he seemed to be the missing piece in a Championships winner machine led by Michael Jordan. In twelve seasons with the Bulls he scored 15,123 points with 4,494 assists, 1,792 steals and 2,401 turnovers. If statistics were the only indicator to choose the basketball best player of all-time, Chamberlain would probably win that recognition. 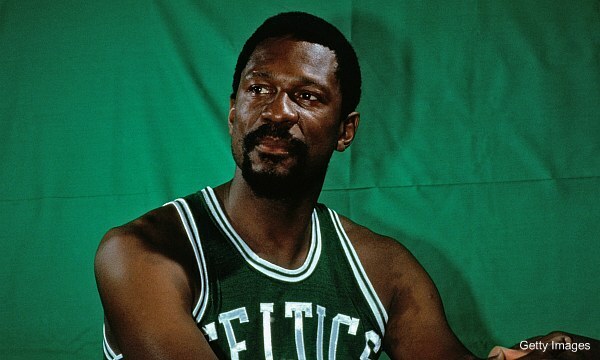 Holder of numerous records and achievements, Chamberlain is an iconic figure in NBA history. 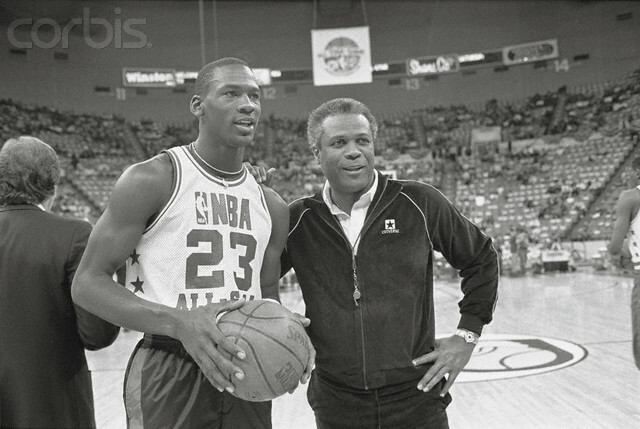 It was not different back at the end of the 67-68 season when he won his fourth MVP award with the Philadelphia 76ers and he was traded to los Angeles Lakers in exchange of Darral Imhoff, Jerry Chambers and Archie Clark, marking the first time a MVP winner would be traded the following season. The trade remains as one of the most lopsided in the history of the league and ranks 4th in our list of the 10 greatest trades in NBA History. 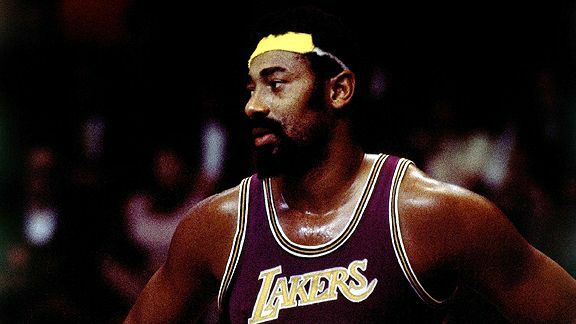 With the Lakers, he won the 1972 Championship, the NBA Finals MVP award that year and played four All Star Games, two times selected for the NBA Defensive Team and led the league in rebounds three times. He scored 5,985 points during his tenure with Los Angeles plus 1,461 assists and 6,524 rebounds. In 1980 the Golden State Warriors made a deal with the Boston Celtics: they sent Robert Parish (their 1st round pick in the 1976 draft) and their 3rd pick of the 1980 NBA draft in exchange for Boston’s 1st and 13th picks of the same draft. 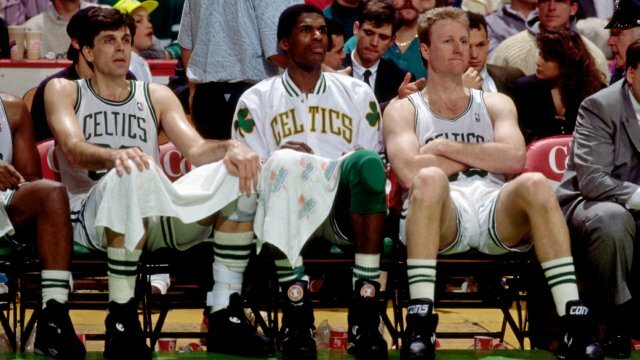 With their 1st pick, Golden State took Joe Barry Carroll and Rickey Brown with their 13th, meanwhile Boston took Kevin McHale as the 3rd overall selection. 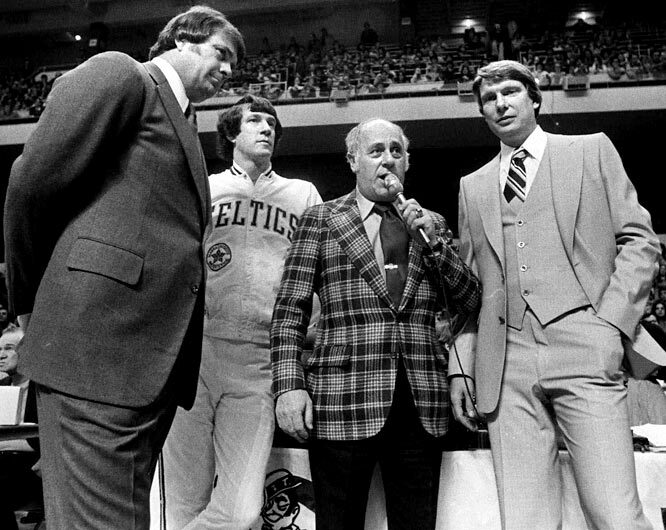 The trade ended up forming one of the NBA greatest dynasties as Parish and McHale, alongside Larry Bird, led the Celtics to three championships: 1981, 1984 and 1986. 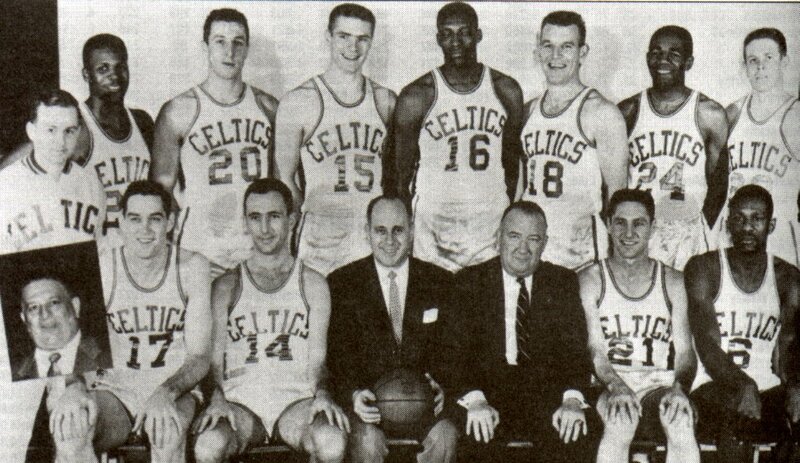 Parish played 14 seasons with Boston with whom he earned stardom, became one of the greatest centers of all time and played 9 All Star Games. 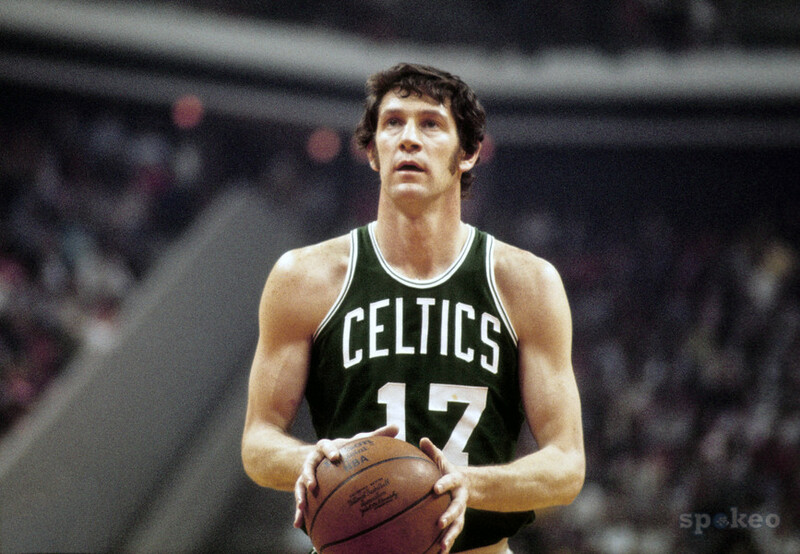 During his tenure at Boston, he accumulated 18,245 points with 1,679 assists and 11,051 rebounds. 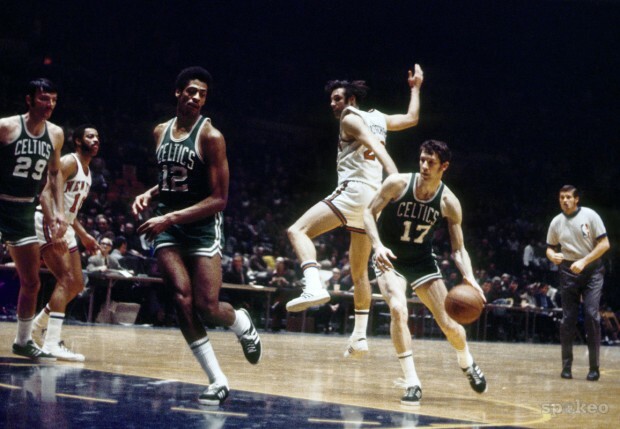 Kevin McHale, for the other hand, came out of the bench at the beginning of his career, winning the NBA Sixth Man of the Year Award twice; McHale played thirteen seasons in his career –all with Boston- and totalized 17,335 points, 1,670 assists and 7,122 rebounds. The trade that formed the NBA Greatest frontline in history ranks third in our list of the 10 Greatest Trades in NBA history. Ferdinand Lewis Alcindor Jr., better known as Kareem Abdul-Jabbar, is one of the greatest NBA players of all time. He’s the all-time top scorer in the league with 38,387 points; his 17,440 rebounds rank third as well as his 3,189 blocks. He was Michael Jordan before Michael Jordan came to scene as he won 6 NBA Championships and the same number of MVP awards. 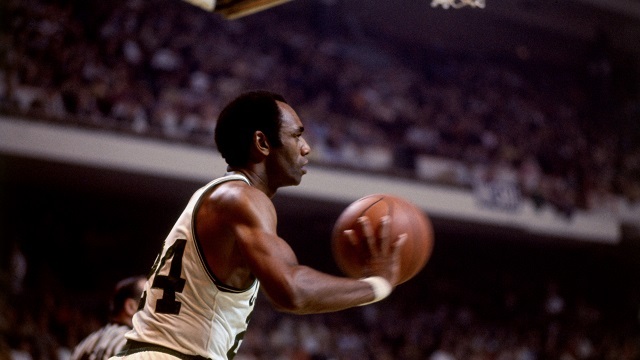 Due to the historical impact of his, the trade that sent him to the Lakers from the Bucks in 1975 ranks second in our list of the 10 Greatest Trades in NBA History. 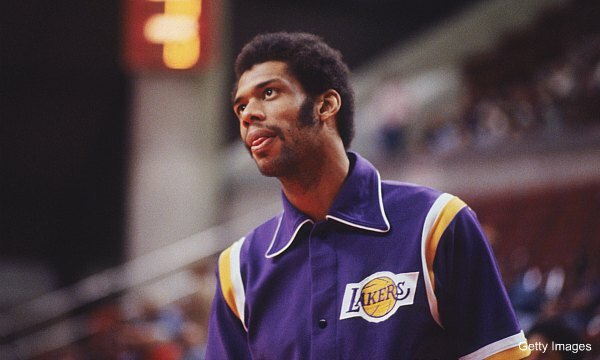 Jabbar arrived to the Lakers with Walt Wesley in exchange of Elmore Smith, Brian Winters, Dave Meyers and Junior Bridgeman. In his first year with the Lakers he set the all-time record for most defensive rebounds with 1,111 and he became the last player to have 4,000 PRA (Points + Rebounds + Assists) in a year and won his 4th MVP award. Overall with the Lakers he won 5 NBA Championships, 3 MVP Awards, played 13 All Star Games, led the league in blocks two times, one time in rebounds and his uniform number 33 was retired. With the Lakers he scored 24,176 points (63% out of his total), 3,652 assists (64%), 10,279 rebounds (59%) and 2,694 blocks (84%). 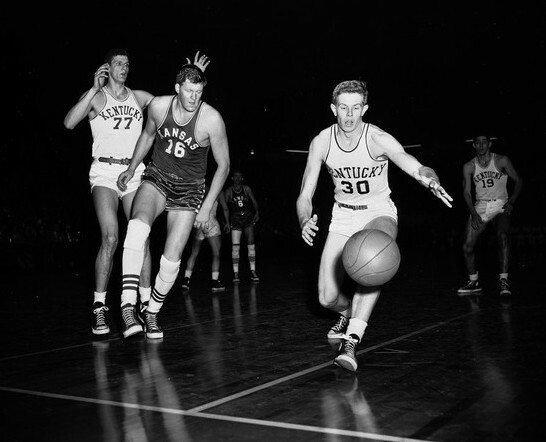 Bill Russell is an icon in basketball and one of the earliest. He made himself a legend with the Boston Celtics, a team with whom he played his entire 13 season career, winning 11 NBA Championships, 5 MVP Awards and 12 selections for the All Star Game. He was the first player to average more than 20 rebounds per game, he feat he accomplished 10 times. He’s second all-time in rebounds with 21,620 and led that department four times. He was definitely a better defensive player than offensive, as in his career he averaged only 15.1 points per game, had a .440 career field goal percentage and a 3.3 free throws per game and a success rate of .561, but he averaged 22.5 rebounds per game (second behind Chamberlain). The Boston Celtics acquired Russell through a trade and for his historical significance and sporting impact; it ranks first in our list of the 10 Greatest Trades in NBA History. 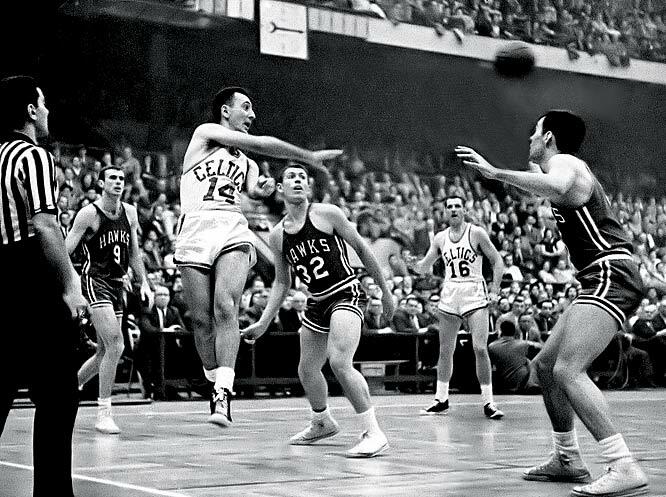 Russell was originally picked up by the Saint Louis Hawks in the 1956 NBA Draft, but they could not afford his contract and traded him to Boston (that were already interested in Russell) in exchange for Ed Macauley, Boston’s star at the time and who was willing to be sent to Saint Louis. Boston also sent Cliff Hagan and everybody happy. There are more trades that could have made the cut, we did not go for the most lopsided or shocking but for those that had the greater impact in the history of basketball best league in the world. The world of entertainment is that of glitz and glamour. It offers lucrative career options for all those who are talented and manage to establish themselves. 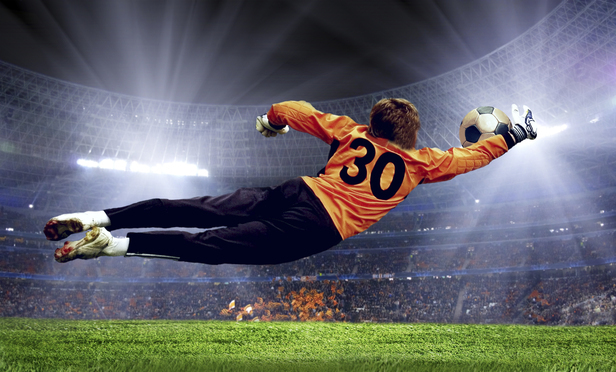 In particular, sports offer a huge hugely profitable career option. The successful athletes are among the highest paid people in the world. This is proven by the lists that are published every year by organizations who evaluate the worth of the athletes. One of the most famous and reliable lists is published by none other than Forbes. It is quite clear that the athletes earn enough from just the games and tournaments in the form of salary or prize money, let alone the endorsement deals, to put them among the wealthiest celebrities of the world. Reputed basketball tournaments such as the NBA are widely known among the highest paying sports events of the world. 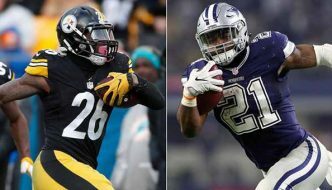 From numerous of their endorsements, the participants earns in millions besides as they also earns huge amount of salary from their respected teams. Their own signature shoes and jerseys also boost their income on yearly basis. Michael Jordan, the legendary basketball player, topped the Forbes list of Richest Players with $35.9 million income in 1992, $36.0 million income in 1993, $30.01 million in 1994, $43.9 million in 1995, $78.3 million income in 1997 and with $69 million total income in 1998. Former basketball player Shaquille O’Neal secured the 6th place in 1993 in the Forbes list of Richest Players with $15.2 million and again secured the 2nd place in 1994 in the list with $16.7 million. 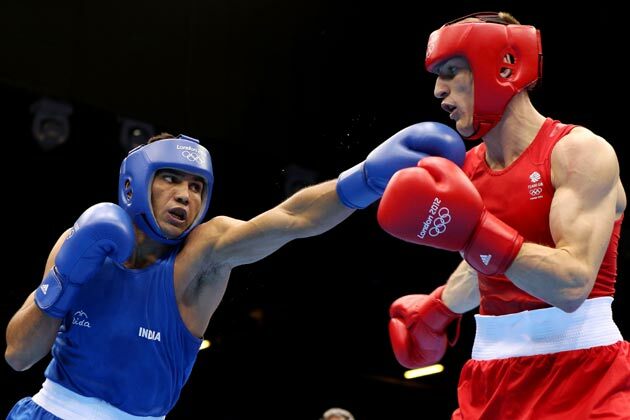 One of the most dangerous sports of modern times, Boxing, is also reputed for being the best paying sporting event. 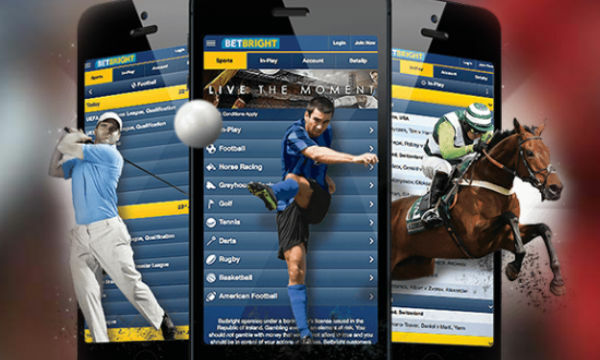 Besides their earnings as tournament prize money, they also get good amount of profit from Pay-Per-View commissions, betting and endorsements. In 1991, legendary boxer Mike Tyson first topped the Forbes list of Richest Players with $28.6 million and again achieved the same in 1996 with a total income of $75 million. In 1992, legendary boxer Evander Holyfield topped the Forbes list of Richest Players with $60.5 million. After a little break in the Forbes list of Richest Players, Floyd Mayweather topped the list in 2012 with $85 million income and again achieved the first place in 2014 with $105 million income. 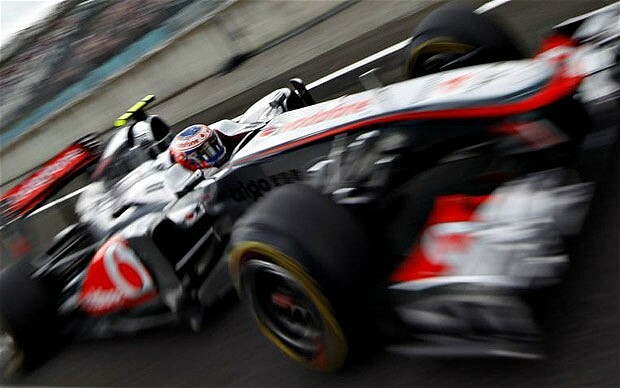 Various events of auto racing like the Grand Prix of Formula1 or Nascar are counted among the highest paying events in the sports universe. The involvement of risks gets compromised a bit with great winning amount as prize money besides several endorsements of reputed brands. One of the most successful F1 drivers Michael Schumacher secured the first place in 1999 in the Forbes list of Richest Players with a total income of $49 million and again achieved the same feat in 2000 with $59 million. Long before, in 1992, Auto Racing driver Ayrton Senna achieved the 3rd place of Forbes list of Richest Players with $22 million and the same year another driver Nigel Mansell also achieved the 4th place with a total income of $14.5 million. 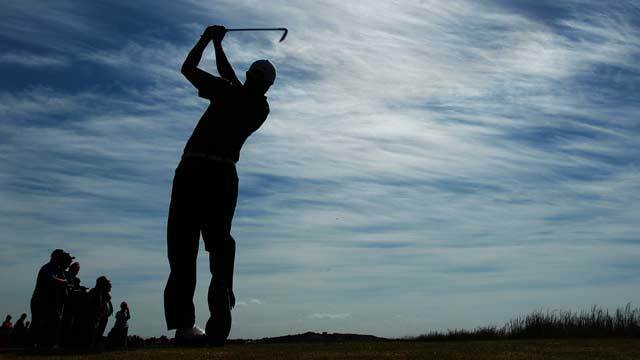 One of the most successful golfer and legendary athlete, Tiger Woods, still holds the record of being in the first place in Forbes list of Richest Players a record eleven times. Woods topped the Forbes list in 2002 with $69 million income, in 2003 with $78 million income, in 2004 with $80.3 million, in 2005 with $87 million income, in 2006 with $90 million, in 2007 with $100 million total income, in 2008 with $115 million income, in 2009 with $110 million, in 2010 with $105 million, in 2011 with $75 million and again in 2013 with a total income of $78.1 million. Many years before the amazing achievement of Tiger Wood, Jack Nickalus secured the 3rd place in 1994 in the list of richest players by Forbes with $14.8 million income and Arnold Palmer with a total income of $13.6 million also achieved the 4th place the same year in the list. 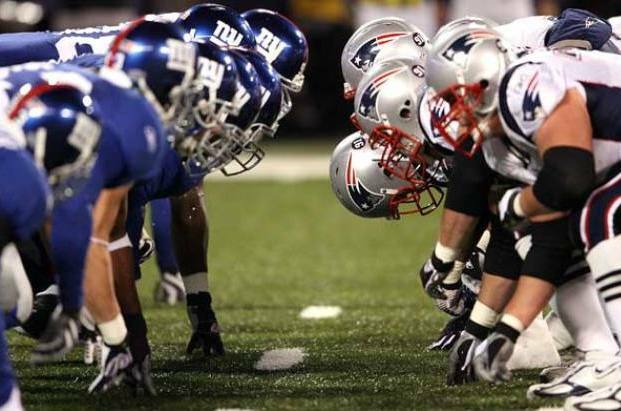 American Football is widely known for being one of the highest paying sports in the universe as the players’ frequently secured position in the Forbes list of Richest Players. In 1992, Joe Montana first achieved the 7th place in the Forbes list with a total income of $9.5 million. With a total income of $22.5 million, American Football star Deion Sanders achieved the 3rd place in the list in 1995. In 2004, Legendary NFL player Peyton Manning achieved the 3rd place in the Forbes list of Richest Players with $42 million income. In 2005 with $37.5 million income, Michael Vick achieved the 4th place in the list. Tom Brady, one of the greatest football players of all time, achieved the 9th place in the Forbes list of Richest Players in 2006 with a total income of $29 million. Legendary English footballer, David Beckham, first inducted in 2004 in the 8th place in the Forbes list with a total income of $28 million. 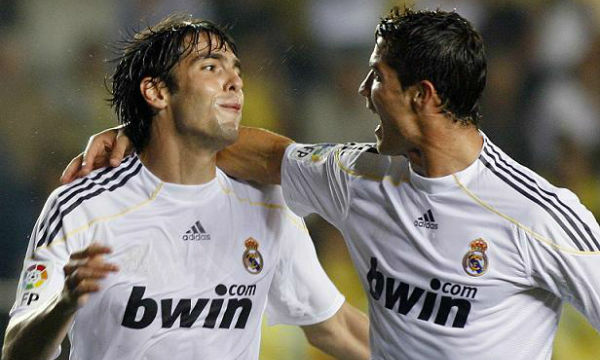 He then secured the 7th place in 2005 in the list with a total income of $32.5 million and again achieved the 6th place in the Forbes list of Richest Players in 2007 with $33 million. In 2007, Brazilian soccer star Ronaldinho achieved the 9th place in the Forbes list with $31million income. In 2008, David Beckham again secured the 2nd place in the Forbes list of Richest Players with a total income worth of $50 million. Cristiano Ronaldo, Portuguese footballer, last year achieved the 2nd place in the Forbes 2014 list of richest players with a total income of $80 million. Last year, another great Argentine footballer Lionel Messi with a total income of $64.7 million also achieved the 4th place in the list. 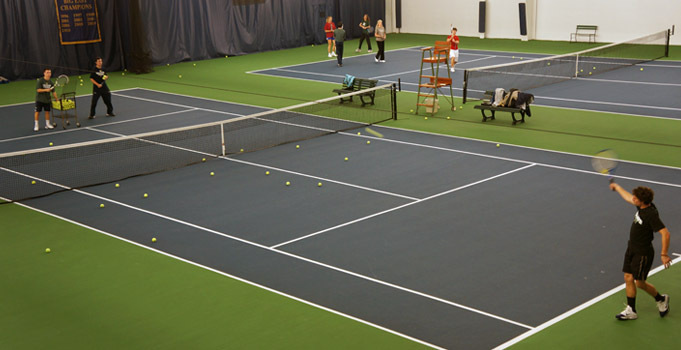 Tennis is one of the most well-known of recreational sports and it is played by millions of people throughout the world. With WTA tours being among the highest paying tournaments of the world, the tennis players quite frequently secure their places in the Forbes list of Richest Players. In 1992, legendary tennis player Andre Agassi achieved the 6th position in the list, having $11 million worth of total income. Jim Courier, 1993, achieved the 9th place in the Forbes list of Richest Players with $12.6 million worth of total income. Recent days tennis star Roger Federer achieved the 6th place in the Forbes list of Richest Players in 2008, 2010 and 2013, having earned total income worth $35 million, $43 million and $71.5 million respectively. 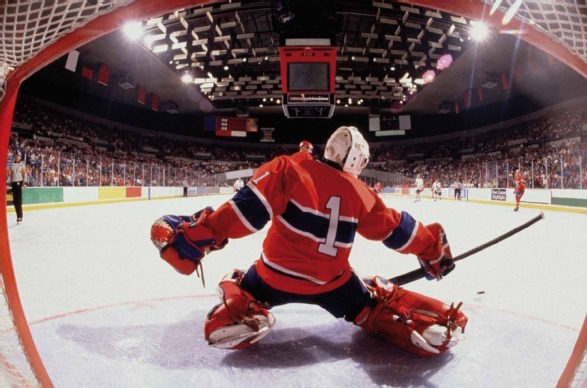 The physical sport of fast pace, Ice Hockey, is often nicknamed “The Fastest Game on Earth”. It is considered among the highest paying sports of the world, with its participants having secured decent places, quite frequently, in the list of Richest Players by Forbes. In 1994, famous ice hockey player Wayne Gretzky achieved the 5th place in the list with $13.5 million worth of total income. He then achieved the 10th place in the list in the following year, i.e. in 1995 with $14.5 million worth of total income. In 1997, Joe Sakic, the ice hockey player from Canada, achieved the 9th place in the Forbes list of Richest Players, with 17.9 million worth of total income. In 1998, Sergei Federov, the international ice hockey player from Russia, achieved the 3rd place in the list with a total income worth $29.8 million. Jayson Stark, a reputed sports columnist, once described baseball as “a unique paragon of American culture,” as it is still among the major sports of America. 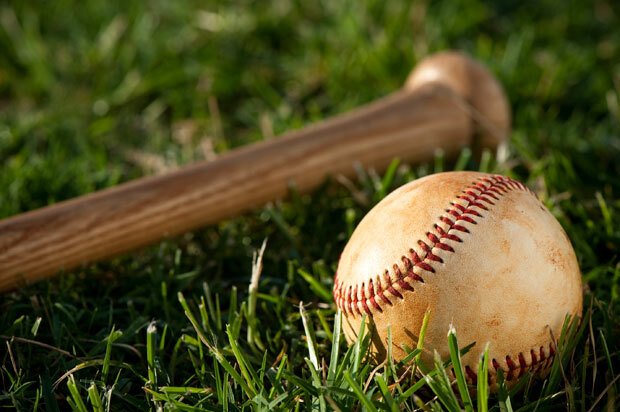 More than 2.1 million people from the US alone participate in the sport. These participants are among the highest paid sportspersons in the world, especially because of the huge viewership of MLB. Cecil Fielder, a famous American baseball player at first achieved the 8th position in the Forbes list of Richest Players in 1993 with a total income of $12.7 million, while Alex Rodriguez achieved the 7th place in the Forbes list of Richest Players in 2003 with a total income of $26 million. In 2004, he again achieved the 9th place with a total income of $26.2 million and in 2011 he secured his position with $35 million total income. Charles Minthorn Murphy, back in the year 1899, turned out to be the first cyclist to cover a mile’s distance in under a minute’s time, and thus earned himself the nickname of “Mile-a-Minute Murphy”. Cycling is looked upon as one of the most active sports in the world, ever since cycles and other human-powered vehicles have undergone innovations. 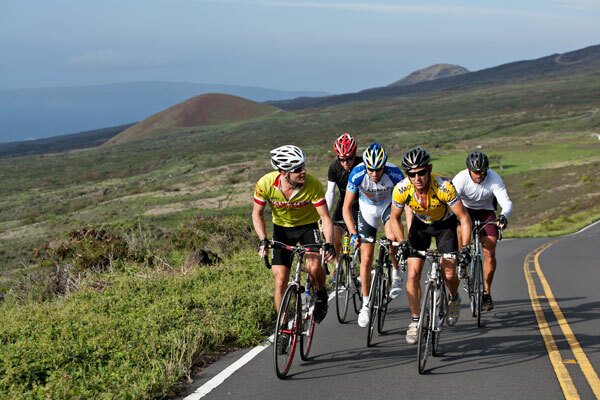 There are many cycling tournaments that are counted among one of the highest paying event in the planet earth. Besides huge income from the tournament earning, the famous cyclists also gets good amount of money from their endorsers. Legendary cyclist and one of the most controversial athletes of modern days Lance Armstrong achieved the 9th place in the Forbes list of Richest Players in 2010 with a total income of $28 million. 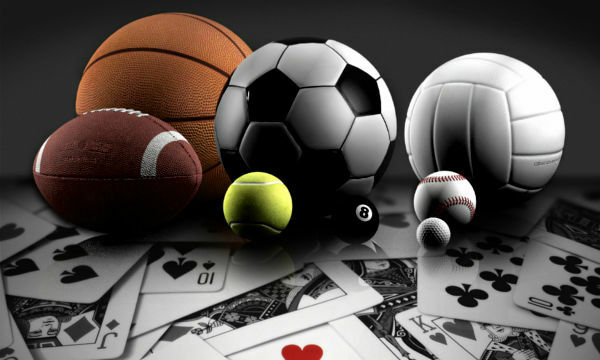 Sports industry is indeed a place where an athlete can find great wealth and fame. 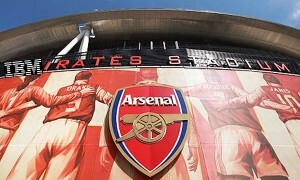 That is why, many young people want to build a career in sports, in pursuit of this fame and money. 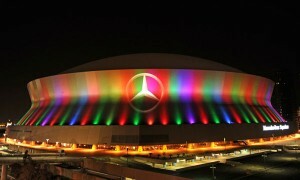 However, what they forget is that it takes more than just the want for fame and wealth in sports. An athlete has to be dedicated to his sport and become really good at it first. Only then will the rest of the things follow as rewards. 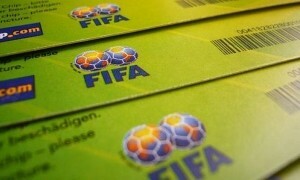 Sports may be lucrative, but before that, they are challenging. 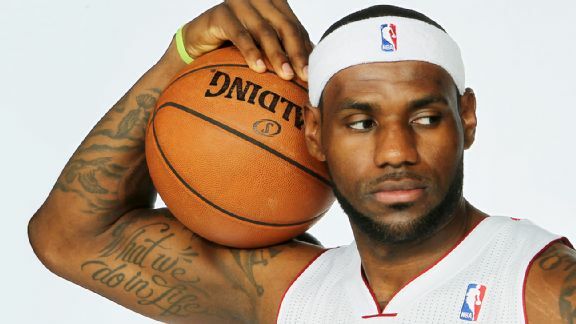 LeBron Raymone James is one of the leading basketball players of America. 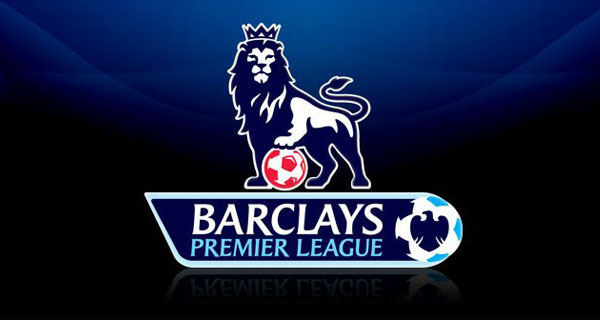 He is a sought after player for the leading companies around the world, and earns a large sum of money from his games. Thus, he is one of the top players, with regards to his pay. Let us consider Lebron James Net Worth 2015, and take a quick look at his life. At 29, LeBron is recognized as one of the best NBA players. He has already eared himself a total of $72 million, in the last NBA season, of which $19.3 million is from his salary and winnings and $53 million, from several of his endorsements. LeBron is considered the biggest endorsement star from NBA, owing to his contract agreement with various giant companies like Nike, McDonald’s, Coca-Cola and Upper Deck. He has set a record with his signature Nike shoes which have gathered the highest turnover worth $300 million in the U.S. during the year 2013. His jersey was the best-seller of NBA, as per the research firm named SportsOneSource. He has also made earnings of $3 billion when Apple acquired Beats, the audio company. LeBron is now associated with Klutch Sports, with Rich Paul serving as his current agent. LeBron today has made huge contributions to the sport, giving the fans many memorable moments. Fans are waiting to see him give some more amazing performances in the future. Born on December 30, 1984 in Akron, Ohio, NBA legend Lebron James was born to Gloria Marie James when she was just 16 years of age. She brought him up entirely on her own. However, due to financial problems, she had to let him move in with the family of Frank Walker, a local youth football coach. It was Frank who first introduced him to basketball when LeBron was just nine. When he was in school, he started playing for the Northeast Ohio Shooting Stars in Amateur Athletic Union. Along with his friends, Dru Joyce III, Sian Cotton and Willie McGee, he achieved success at a local as well as national level in the sport. In fact, the four were together referred to as Fab Four, and they later chose to go to St. Vincent-St. Mary High School. LeBron James obtained an average of 21 points with 6 rebounds in each game, in his freshman year at St. Vincent-St. Mary, playing for its varsity team called The Fighting Irish, which won the Division III state title as it finished the year with a score of 27-0. He also achieved an average of 25.2 points with 7.2 rebounds in each game in his sophomore year, making 5.8 assists and 3.8 steals per game. Since the tickets were priced heavily due to the huge demand of alumni and fans who wished to see him play, St. Vincent-St. Mary chose to play at the Rhodes Arena of University of Akron, since it is equipped with 5,492 seats. In his sophomore year, LeBron’s team The Fighting Irish regained is position as the champion, as it finished the year at 26-1, with LeBron being named Ohio’s Mr. Basketball and being inducted into the USA Today All-USA First Team. LeBron was seen in SLAM Magazine and, before he even started his junior year, he was described by writer Ryan Jones as “the best high school basketball player in America right now.” He appeared on the cover of Sports Illustrated and was the first underclass high school basketball player to have this achievement. He was also named Ohio’s Mr. Basketball on the same occasion, and was inducted into the USA Today All-USA First Team for his excellent average record of 29 points, 8.3 rebounds, 5.7 assists, and 3.3 steals per game. He was also the first junior to receive the boys’ basketball Gatorade National Player of the Year Award. In his senior year, LeBron James travelled with his team, The Fighting Irish, around America, to compete against nationally ranked teams. The team played against Oak Hill Academy in a game that was telecasted on ESPN2 and Time Warner Cable, thus offering St. Vincent-St. Mary’s games to subscribers on a pay-per-view basis, all because of the excellent popularity of LeBron. In the same season, he obtained an average of 31.6 points, 9.6 rebounds, 4.6 assists, and 3.4 steals in each game, and was once again named Ohio’s Mr. Basketball, besides being inducted into the USA Today All-USA First Team for the third consecutive year, and being named the Gatorade National Player of the Year for the second consecutive year. The Cleveland Cavaliers selected LeBron James as the first overall pick in the 2003 NBA draft. In his first professional game, he scored 25 points against the Sacramento Kings, setting the record for most points scored as a prep-to-pro player in his debut. During a match-up with the New Jersey Nets, he scored a season-high 41 points, thus setting the record as the youngest player in league history to score at least 40 points in a game. He was honored as the Rookie of the Year in his debut season, having achieved an average of 20.9 points, 5.5 rebounds and 5.9 assists per game. He is the only player in NBA history besides Michael Jordan and Oscar Robertson to achieve an average more than 20 points, 5 rebounds, and 5 assists per game in his rookie year. On July 1, 2014, LeBron James opted out of his contract with the Miami Heat to become an officially unrestricted free agent. On July 11, 2014, he revealed his intension to rejoin the Cavaliers through a first-person essay in Sports Illustrated, and on July 12, 2014, he signed a two year contract worth $42.1 million with the Cavaliers, after which, Kevin Love from the Minnesota Timberwolves and Kyrie Irving too joined the team, a months later, thus forming their new “star-studded trio”. On October 30, 2014, LeBron made his Cleveland return against the New York Knicks. In his debut game, he obtained 16 points going 5-15 from the field, 5 rebounds and 4 assists for the Cavaliers. LeBron James proposed to Savannah Brinson, his high school sweetheart, at a party to celebrate New Year’s Eve and his 27th birthday on December 31, 2011. He got married to Savannah in San Diego on September 14, 2013. They have two sons, LeBron James, Jr. and Bryce Maximus James, and a daughter named Zhuri James. During his tenure with the Miami Heat, he used to live in Coconut Grove, where he purchased a three-story mansion worth $9 million near to Biscayne Bay. He sold his property for $12.5 million on March 23, 2014. LeBron signed with Nike for approximately $90 million, having come out of high school. All through his career, LeBron has had great endorsement deals with several leading companies like Audemars Piguet, Coca-Cola, Dunkin’ Brands, McDonald’s, State Farm and Samsung. Kobe Bryant is an American basketball player. He is currently a representative of the team named Los Angeles Lakers in the National Basketball Association, where he is the shooting guard. He plays wearing the jersey no. 24. Kobe was born on 23rd August, 1978. This 1.98 m player is one of the wealthiest basketball players. 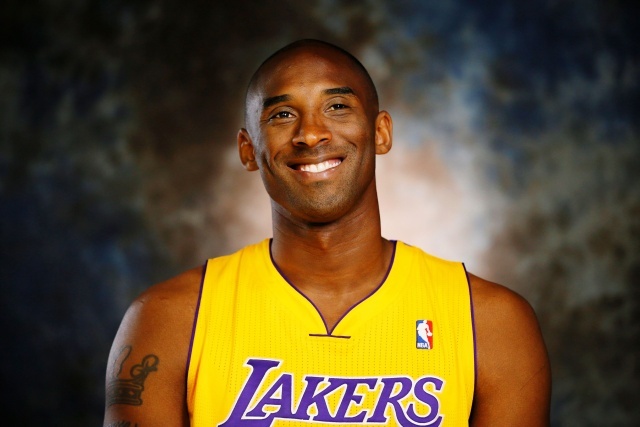 Let us take a look at Kobe Bryant Net Worth 2015, and a quick glance at his life so far. Kobe Bryant, basketball legend and one of the very best players of recent time, needs no introduction because of his glorious achievements throughout his career is enough to place him among the greatest players. He became the winner of the NBA championship five times in two spells from 2000 to 2002 and from 2009 to 2010. 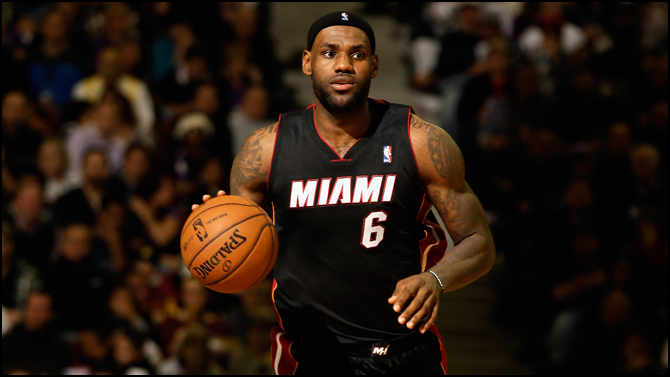 He became the NBA Finals MVP twice consecutively in 2009 and 2010 after he became the NBA Most Valuable Player in 2008. Bryant was selected in the NBA All-Star team a record 16 times in 1998 and again from 2000 to 2014. He was also named the NBA All-Star Game MVP four times in 2002, 2007, 2009 and 2011. Bryant was included in All-NBA First Team for a total 11 times in two spells from 2002 to 2004 and again from 2006 to 2013. He was also a part of the NBA All-Defensive First Team nine times in three spells from 2000, from 2003 to 2004, and again from 2006 to 2011. Kobe Bryant, the 36-year old basketball star, in the last season of NBA, has earned a total of $62 million according to the report published by Forbes. During the 2013-14 season of NBA, he had the highest salary for the fourth consecutive year. Kobe earned a salary of $30.5 million in the last season which is approximately $8 million higher than any other players of NBA. In November 2013, he signed a two-year contract extension worth $48.5 million which secured his place at the top of NBA’s highest salary draw. Kobe earned a total of $31 million from several of his endorsements. To buy more than 10% stake of emerging sports drink BodyArmour, he also invested nearly $6 million last year which was the first investment by his new company Kobe Inc.
Kobe Bean Bryant aka just Kobe Bryant currently has an estimated total net worth of $300 million. He also earned a total of more than $30 million annually from several of his major endorser such as Turkish Air, Hublot, Lenovo, Panini and Nike, besides his L.A Lakers Season Salary of $30.5 million. Rob Pelinka is currently serving as his agent and Kobe is tied with Landmark Sports Agency. In December, 2011, he filed for divorce after ten and half years of marriage with Vanessa. His wife took possession of three mansions in the Newport Beach, California as the settlement, which are estimated to be worth $18.8 million according to property records. It is also rumored that the divorce settlement is likely to cost him around $100-150 million. Kobe Bryant is a native of Philadelphia, Pennsylvania. He is the youngest of three children and also the only son of Joe Bryant and Pamela Cox Bryant. Kobe is also the maternal nephew of John “Chubby” Cox, he former NBA’s Chicago Bulls player. He was named after the famous beef of Japan called “Kobe Beef”, after his parents saw the menu in a restaurant. From his father’s nickname “Jellybean”, he got his middle name “Bean”. Kobe’s father moved his family to Rieti in Italy to continue playing professional basketball after he left the NBA when Kobe was only six years old. He learned to speak Italian and Spanish and was raised Roman Catholic. After Joe Bryant’s retirement in 1991 from professional basketball, Kobe’s family moved back to the United States. During his high school career at Lower Merion High School, located in the Philadelphia, suburb of Lower Merion called Ardmore, Kobe Bryant first gained national recognition. During his junior year, he achieved an average of 31.1 points, 10.4 rebounds and 5.2 assists per game and was named Pennsylvania Player of the Year. His amazing record attracted attention from many of the famous college recruiters such as Duke, Villanova, North Carolina and Michigan. At the Adidas ABCD camp, Kobe achieved the 1995 senior MVP award. Kobe became the Southeastern Pennsylvania’s all-time leading scorer and ended his high school career at 2,883 points while surpassing both Wilt Chamberlain and Lionel Simmons. For his performance during senior year, Kobe achieved several awards that include being named Naismith High School Player of the Year, Gatorade Men’s National Basketball Player of the Year, McDonald’s All-American and USA Today All-USA First Team player. Kobe’s varsity coach Greg Downer once described him as “a complete player who dominates”. When he was just 17-year-old, Kobe made the decision of being a NBA high school draftee and go directly into the NBA. Kobe’s news got the attention of the Media and crowd as prep-to-pro NBA players were not very common that time. He also secured his admission to any college he chose while achieving his SAT score of 1080. Kobe’s international basketball career met with a hectic start. Kobe declined to play in the 2000 Olympics as he was getting married in the off-season. He also declined to play in the 2002 FIBA World Championship. He again withdrew due to surgeries after he was selected for the FIBA Americas Championship 2003 and then replaced by Vince Carter. Due to his involvement with a legal case, Kobe again had to withdraw from the Olympic team. . His senior international career finally started with the United States national team as a member of the 2007 USA Men’s Senior National Team and USA FIBA Americas Championship Team in 2007. His team won gold and then qualified the United States men for the 2008 Olympics. In January 2002, Kobe bought a Mediterranean-style mansion located at cul-de-sac in Newport Coast, Newport Beach for $4 million. Before he started the 1996–97 NBA season, he signed a six-year contract with Adidas worth approximately $48 million. Equipment KB 8 was Kobe’s first signature shoe. 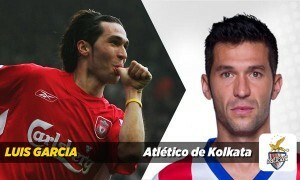 He also signed a five-year worth $40–45 million contract with Nike, Inc later on. In “NBA ’07: Featuring the Life Vol. 2”, Kobe was selected as the cover athlete. Kobe also made his appearance in the commercials for the video games Guitar Hero World Tour in 2008 and Call of Duty: Black Ops in 2010. As the face of their “Black Mamba collection”, Kobe signed a contract with Nubeo in 2009. The luxury sports watches of the collection ranged from $25,000 to $285,000. Kobe has made undeniable contributions to the sport of basketball and naturally, he is one of the highest paid athletes in the industry. Fans expect him to create more of such memorable moments, which will likely make him not only more popular but also the earner of greater fortune. Incoming Searching Terms: Kobe Bryant Net Worth. Kobe Bryant Salary 2015. Kobe Bryant Endorsement 2015. Kobe Bryant Total Income 2015. Kobe Bryant Total Pay in 2015. Kobe Bryant Worth. Kobe Bryant salary. Kobe Bryant wealth. Kobe Bryant 2015 Net Worth.